Taking a quick work break to update you guys on my latest pair of finished socks (you're welcome). I have WAY TOO MUCH YARN. Not a phrase I ever expected to come out of my mouth, but there it is. How do I know this? Because I have nowhere to put it all. I cleared off an additional shelf on my giant bookcase to use as hank storage and I still have hanks flying around the hallway, waiting for a home. I also realized I have a deep-rooted affinity for Knit Picks Felici. All of this led me to decide I need to be knitting more. Way more. Especially with Felici. Cue these socks. They're a super basic Vanilla Latte pattern, which is actually a pattern I used when I first learned to knit socks, so they're interesting enough that I didn't get bored. 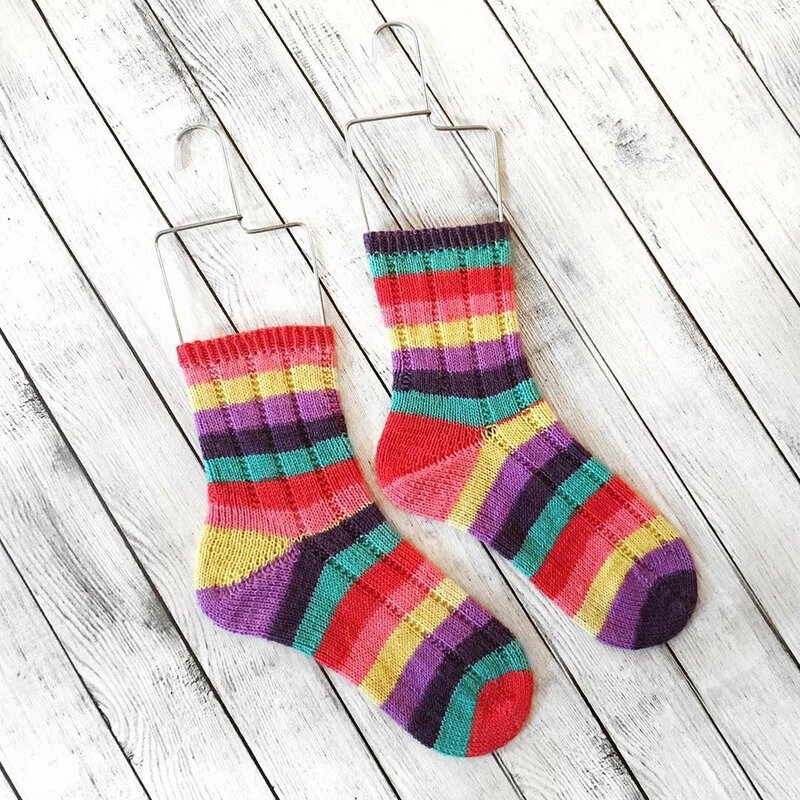 Self-striping socks always seem to move quickly, anyway, but these really flew off my needles (I only worked on them for a few days). Reading: Just finished The Blinds and have nothing going at the moment. Any recommendations?